While itches are a normal part of life, sometimes skin can become so itchy for so long that it is a medical issue. Rashes and other causes may be behind this severe itching. It is advised to visit a doctor for any itch that is more severe than usual or that lasts or more than two weeks. During your appointment, your doctor will likely devise a treatment plan for you that includes one of these medicines for itchy skin. 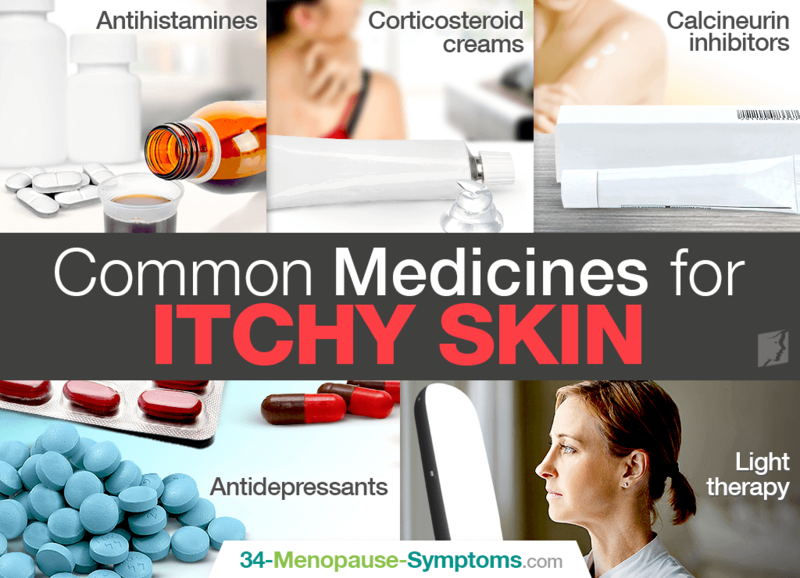 Learn more about these itchy skin medicines before your visit. This medication is generally used for allergies, so it will work best on itchy skin like hives that has been caused by an allergen or some other irritant. Antihistamines also work on the other symptoms of allergy attacks, like sneezing or watery eyes, which makes them an ideal choice for allergy-related itching. They are sometimes available over the counter, but the stronger versions are sold by prescription. Commonly, antihistamines are taken as pills or as liquid, but they come in a variety of forms. These are medicated creams that can be prescribed by doctors to relieve itching. They contain steroids, which are incredibly useful in reducing redness and swelling and in eliminating itching sensations. Corticosteroids may also be prescribed in pill form, but usually only if there is a severe rash or if a previous course of corticosteroid creams failed to address the problem. Sometimes used in treating psoriasis, this medication can affect the creation of certain cells - called T-cells - that carry out the immune system's attacks on foreign bodies. This can help reduce itching because often, itching and swelling is the result of T-cells that are attacking the skin as well as an illness or allergen. This medication is effective, but cannot be recommended for long-term use. Some antidepressants may actually have an effect on skin itchiness. Serotonin is thought to play a role in making the brain want to scratch an itch. Specifically, scientists believe it is what makes scratching an itch feel so good, because serotonin is often involved in the reward system of the brain. A class of antidepressants called selective serotonin reuptake inhibitors (SSRIs), which affect serotonin in the brain, can help to reduce itching. During light therapy - also referred to as phototherapy - the skin is exposed to ultraviolet (UV) light of different wavelengths. UV light has an effect on how the skin forms and grows - it is why the sun, which emits UV rays, can cause sunburn - and in a medically-controlled setting, it can be used to heal skin conditions that cause itchiness. There are two types of UV light, UVA and UVB, but the best type of UV light for skin conditions is UVB. Before trying these medicines for itchy skin, or while you're waiting for your doctor's appointment, learn more about home remedies for itchy skin to relieve the itch.